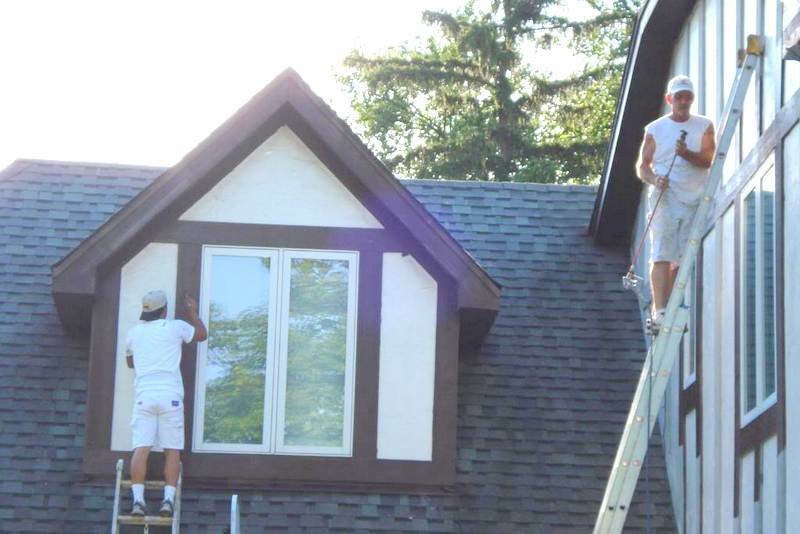 Painting the Exterior of Your Home – A fresh coat of house paint may be your last chance to protect the exterior of your home from moisture and impending wood rot that often takes place in our tough seasons. Failing to take the necessary steps to protect your home can be very costly. If a home goes unpainted through the seasons you may end up with extensive wood damage thatould cost thousands to repair. The easiest way to prevent this is with a fresh coat of paint before winter weather sets in. A good paint job with quality paints could protect the exterior of your home for ten years or longer. Contact Aardvark Painting today to discuss protecting your home from wood rot and the types of paint we can use to paint your house into the fall. We can schedule a free estimate for you right away! Most projects will be professionally prepared including power washing, caulking, scraping and priming prior to any final coats of quality paint.